Blog >> Porcelain Tiles: What's The Difference? Porcelain tiles have a remarkable endurance in today’s busy homes. Mostly made from clay and water, then placed into kilns and fired at very high temperatures, means they're one of the hardest materials in the tiling industry. Porcelain can last as long as you need it to, with its easy cleaning routine, low maintenance requirements and being that tough it may even outlast its structure….if you choose the correct type. Porcelain tiles can be glazed with gloss, matt or textured finishes and unglazed porcelain tiles result in a natural, polished or textured finish. What’s so special about Porcelain? The difference between a porcelain tile and regular ceramic tile is the clay that is used. For porcelain tiles the clay is highly refined and purified. Therefore, porcelain tiles are denser than a standard ceramic tile. Porcelain tiles are less likely to absorb moisture which makes it more durable and more resistant to staining. Porcelain tiles are stronger and are a fantastic choice for flooring. What type of porcelain is available? The hard surface of the tile has been fired, and then grinded with large stones to create the high gloss shine. The way this is done creates micropores in the tile surface which is why we recommend sealing polished products. Take a look at some of our Polished Ranges – Eagle and Lava. These are coated with a form of liquid glass which is fired onto the clay base. The glaze can provide different patterns and colours to the surface to make exquisite designs. This glaze will also protect the tile from staining so it is not essential to seal but for extra peice of mind we would recommend doing do. 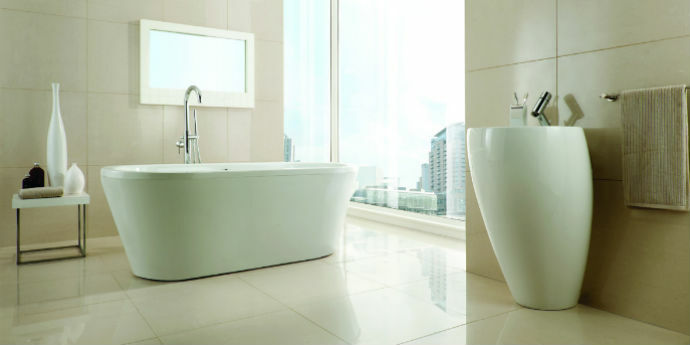 This porcelain most commonly used in industrial and commercial applications. However, technology is forever changing, and this type of porcelain is becoming more decorative therefore, the benefit of this is, the colour and pattern you see, will carry on throughout the whole body of the tile. If there happens to be a chip or wear in the surface, there will be no colour difference. In turn this is a great product for very high traffic areas like car showrooms, restaurant kitchens and shopping centres. 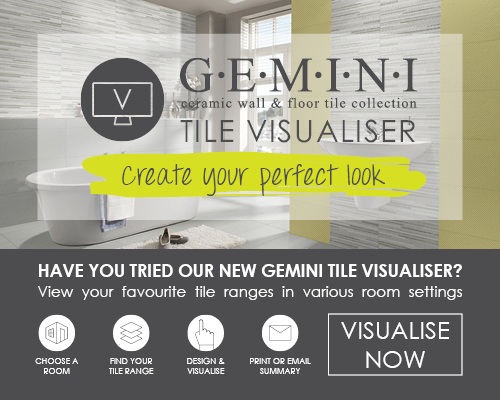 Hopefully we've broken down all the different types of porcelain available and made it clearer on what it all means when you are choosing the tiles for your next project. We've suggested ranges that fall into these categories so do consider what sort of look you can achieve with each type of porcelain and be sure to check with your local branch to find out how we can help you choose the right porcelain tiles for you.